Deep in a snow-covered mountain valley nestled in the Japanese Alps, a natural hot spring bubbles out of the earth, enshrouded in curtains of thick steam. Spend the Night at this Onsen from Just ¥1980! Just in case you need another reason to visit an onsen in Oita, why not dive into the mountains for one of the cheapest stays you can find? 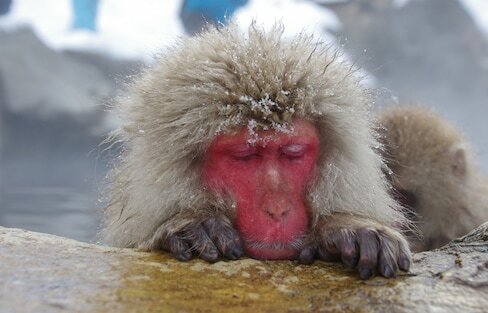 Oita has the most hot spring sources, but Hokkaido has the most spas—and the highest onsen is in Toyama. Many onsen ban tattoos, and even among Japanese young people, a little over 60 percent still don't favor allowing them in the bath. But there's no need to fear: We've compiled some solid tips on how to enjoy the water. 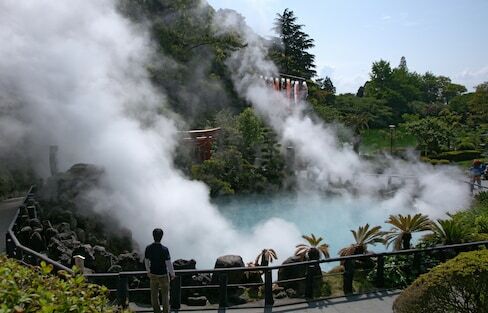 Did you know that Kyoto’s actually a hot springs hotspot? We’ve put together a list of onsen you can drop into just for the day during your travels! Water & Washoku: Fountains of Youth? Masaharu Maeda, a professor of rehabilitation studies, believes bathing culture is one of the secrets to Japanese longevity. It comes complete with a cute spa-style noren curtain to provide some much-needed privacy. The urban jungles of Tokyo and historic temples of Kyoto all look gorgeous in January. Choose from large spas, private family baths, mixed-gender onsen and more! The owner and his wife haven't just created a great ramen shop in Sharaku—they've made a cool spot to hang out and drink in a classic onsen town. Do you want to immerse yourself in a relaxing environment surrounded by rich Japanese history and architecture? Edo-Period philosopher Hayashi Razan identified the three best onsen in all of Japan. To show off a number of its best onsen, Oita recruited the help of a professional synchronized swim team. Private baths let you have some alone time in the tub. A traditional "tenugui" cotton hand towel makes a great gift—or even a headband in the onsen! These tenugui go one step further, however, and tell a picture-book story when folded. While much of the Kanto area is flat and snow-free, the mountains north of Tokyo in nearby Tochigi have some great winter weather. I get that “onsen dates” are kind of weird, but my husband and I love them. Where you go when you've dipped in them all? Onsen critic Isamu Gunji risks his naked life to bring us 14 unforgettable outdoor hot springs that are barely on the map. If you’re looking to get off the beaten path, then give these towns a try!